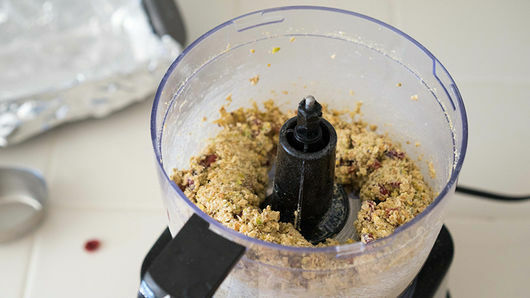 In food processor, combine 1 cup old-fashioned oats and 1 cup pistachio nuts; pulse several times until blended but some chunks of pistachios remain. 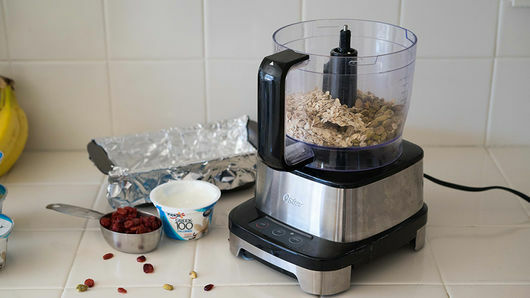 Add 1 container (5.3 oz) Yoplait® Greek 100 vanilla yogurt, 1/2 cup sweetened dried cranberries, 1 tablespoon honey and 1/2 teaspoon salt; pulse several times until a soft dough forms. If necessary, scrape down sides of bowl. 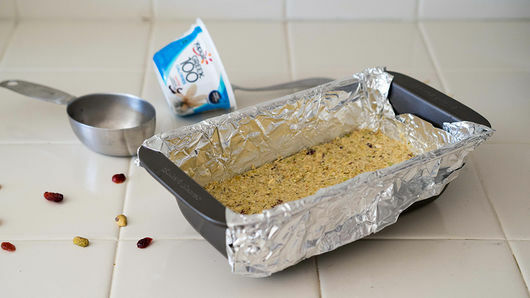 Place oat mixture in foil-lined loaf pan. Use back of spoon or rubber spatula to smooth into an even layer. Refrigerate at least 30 minutes or overnight. Remove bars from pan. Cut into 8 equal bars. Melt 2 oz (1/3 cup) white candy melts or coating wafers as directed on package. 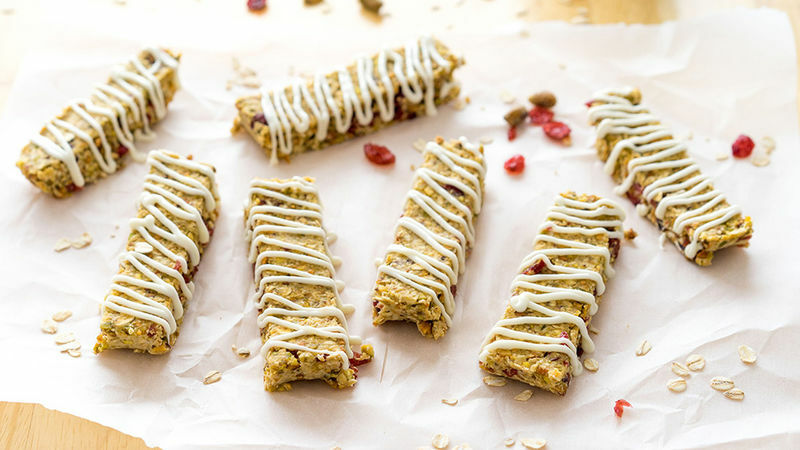 Drizzle over top of each bar. Store covered in refrigerator up to 3 days. Switch up the type of dried fruits or nuts to fit your taste preference. Don’t have Greek yogurt on hand? Swap in your favorite Yoplait Original Style flavor!